Incredible right? Definitely one of my all time faves - I normally gravitate towards purples but if awesome was a colour this would be it, so I think I'll make an exception. 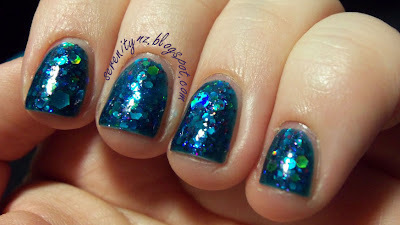 Application was good, a bit thick (as you would expect from a polish this jam-packed with glitter) but nothing unmanageable, just need to take a bit more care with application. 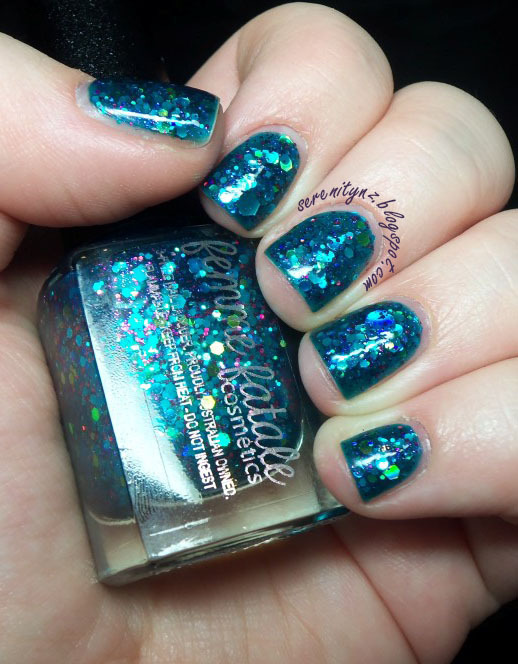 Nightsong Grotto is described as 'A lovely teal green base filled with various greens and teals, highlighted by a scattering of iridescence and pink holo. 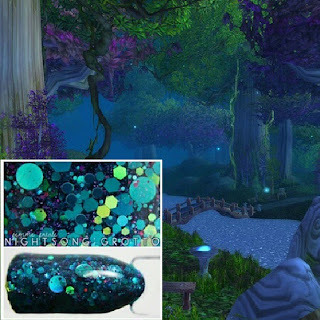 Reminiscent of lotus flowers floating along some forgotten stream in a shady forest.' Nice description, and seems pretty accurate. 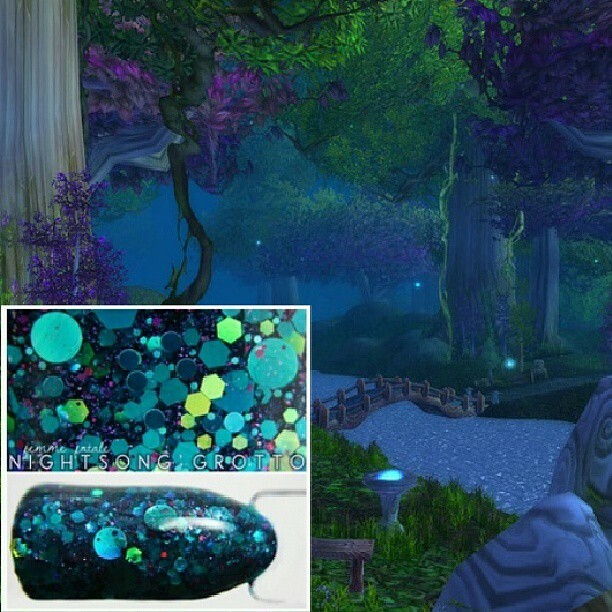 A lot of Sophies polishes are based on the game World of Warcraft. The following is a picture she posted on Instagram showing the inspiration for the polish - I think its amazing how she can look at that and turn it into polish form the way she does! 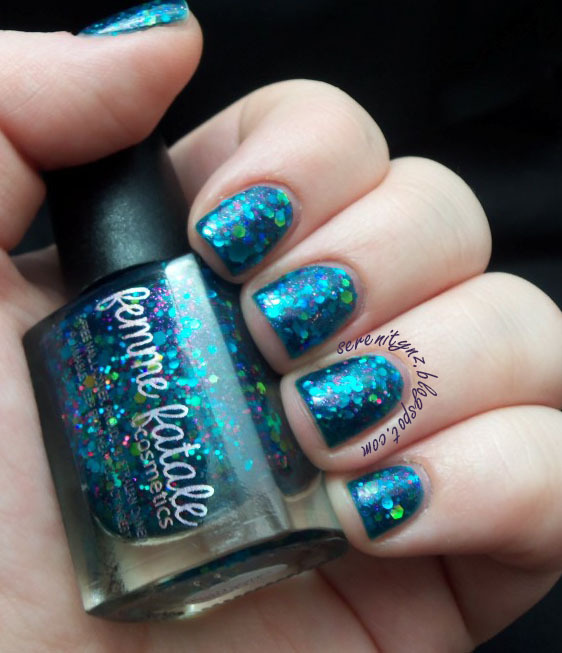 I definitely recommend picking up this polish if you get the chance, its available from Femme Fatale (in Australia) or Llarowe. Harlow & Co is also about to restock Femme Fatale so it may be available there too.